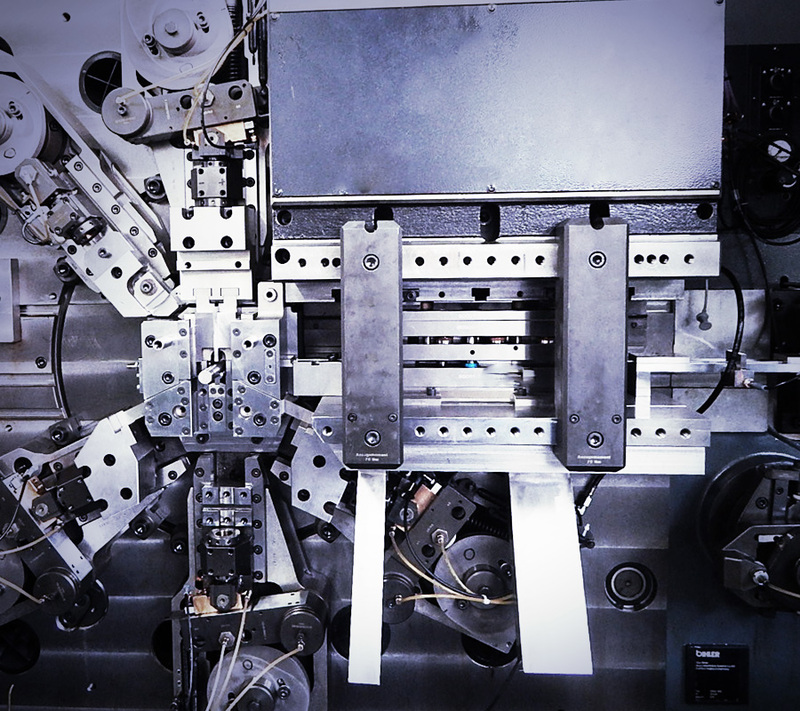 Two- and three-dimensional wire bendings and a great range of stampings and bendings are produced with more than 40 stamping and bending multislide machines in line with the tool dimensions. Utilisation of cutting tools and functional independent bending stations facilitates cost-optimised production without lead frames and complex shapes with manageable tooling, even for undercut designs. Mounting and joining concepts or additional operations, such as thread forming, are easy to integrate. For certain families of components (e.g. precision sleeves), basic tools are available which support quick and simple expansion tailored to your specific requirements.